Here is the delightful story of two painfully pale sisters from England who find themselves reveling in their newfound lives among the pungent vineyards and earthy inhabitants of a small Italian village. Hired to work for 10 weeks to graft roses along the Italian Riviera, board and lodging included, little does either of them know that their brief stay will stretch into years. 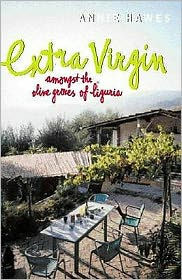 Resonating with an irresistible voice and humor, Extra Virgin dishes up a sumptuous sampling of Italian life. A question - why in the world does this book not only have two different covers but two different titles as well? The copy above is the edition I read but the copy to the right is titled Extra Virgin: Amongst The Olive Groves of Liguria. Both are perfectly apt titles. Which one cover/title would you be most likely to pick up? My aunt first read this book (she of Italian descent) and passed it along to my mom who enjoyed it enough to pass it along to me. I think it's been on my Fall Feasting list of books for the past three years but it finally took the Nonfiction Challenge for me to make time to read it. Hawes and her sister (who will, throughout the book be known as nothing more than "the sister") went to the Ligurian area of Italy in 1983 to work as rose grafters. They didn't work for long at the job but fell in love with the area and bought a derelict "house" amongst the olive tree terraces. Hawes' account spans decades as the sisters slowly make their property a home, bring the land around them back to life, and learn the culture of their Ligurian neighbors, all of which takes a tremendous amount of help from their neighbors and not a little humiliation along the way. The sisters' neighbors really are a full cast of characters. I regretted that I had not, early on, made a list of the area's population, along with their quirks. In 1983, the world had not yet discovered the glories and benefits of olive oil and the people of the area largely considered the olive groves a burden, useful only for producing enough olive oil for their own use each year (albeit oil that they revered). There was no electricity in the homes, no gas, no running water. Despite being wonderfully close to the sea, the sisters were discouraged from going in the water except during a very brief period of time and then the area was so overwhelmed by tourists that the beaches were unusable for the locals. Food, of course, plays a big part in the locals lives and Hawes definitely will make your mouth water when she takes about the local foods but that is only a small part of this memoir. It's much more about becoming so immersed in a culture that the natives come to consider you one of them. Even if they do still, occasionally, tell stories about the mad Englishwoman who lives in the area! When I started blogging I was thrilled beyond words that authors and publishers wanted to give me books to read for free. I'm just a little more aware these days that, even though no money exchanges hands, there is a cost to those books. It's an obligation to read them sooner rather than later, often by a specific date. It's an obligation to be honest but with the awareness that a publisher and an author will be looking to see what you've written about the book. Feelings are involved and I hate to hurt anyone's feelings. More and more, it turns out, I'm not all that thrilled about the obligation of having to read books on someone else's timetable. Andi, of Estella's Revenge, has been talking for years about reading her own books. In 2016, she's taken it one step further and set herself up some goals to really push her way through her own books It's not a challenge (having decided she didn't want to follow anyone else's rules), just some guidelines to read by. 1. Work to satisfy prior obligations (a.k.a. read the review books I accepted prior to 2016). 2. Read 20 of the books on my Classics Club list (all of which I already own). I can't believer there's only 15 months left to read the rest of the 50 books I originally designated to read in five years! 3. No more than 2 new books can come into my house in a month - that includes review books and those irresistible great deals that come into my mailbox every single day. 4. Read at least half of the books that others have previously loaned me. They might actually want them back and I need that guilt off my shoulders. 5. Any challenge I sign up for has to be one that will help me stick to my goals. 6. Don't forget the ereaders! To that end the Clean Your Reader 2016 Challenge, hosted by Kerry of Entomology of A Bookworm is perfect. Because, somehow, there are sixty books on just my Nook. Even given that I've picked up most of those for only a couple of bucks, I figure to have spent at least a couple of hundred dollars on them in total. And there they sit, unnoticed. And there are some great books there! I'll really be looking knock out half a dozen nonfiction titles off of that (including those on my winter reading list) and at least a half dozen fiction titles including The Sandcastle Girls by Chris Bohjalian, The Princess Bride by William Goldman, and Reconstructing Amelia by Kimberly McCreight. I'm not one for making resolutions at the beginning of a new calendar year - I've never been good at sticking to them. On the other hand, there's no time like the present to start making changes to make life better. 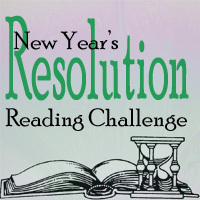 That being said, Joy's New Year's Resolution Reading Challenge is just the thing to help me find the tools to do that. I'm fairly certain that this will revolve around Gretchen Ruben's work, including getting caught up on her Happier podcast. 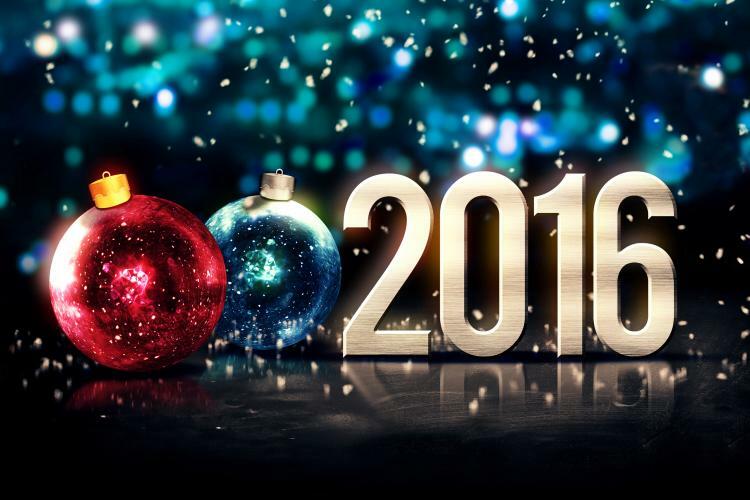 In fact, if I were to choose a word for myself for 2016 it might just be "happier." As for other challenges, we'll see. 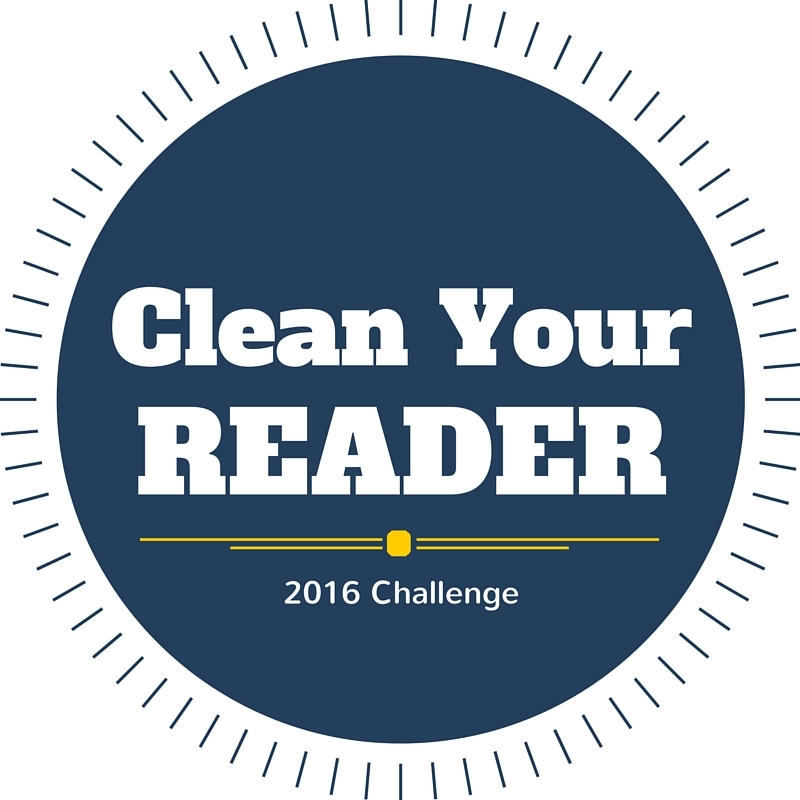 I'll certainly join in if The Introverted Reader again hosts the Nonfiction Reading Challenge. But I want to make sure I have flexibility to join in readalongs, Readers Imbibing Peril in October, Diversiverse and other blogging events. To my non-blogging readers, does it ever occur to you to make a reading plan for a coming year? 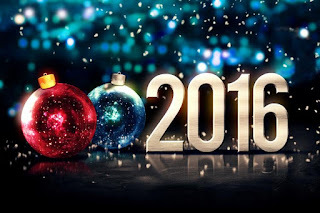 For bloggers, what are you looking forward to reading in 2016? As their paths converge, and the reasons for that convergence become clear, Haruki Murakami enfolds readers in a world where cats talk, fish fall from the sky, and spirits slip out of their bodies to make love or commit murder. I read this one with Ti of Book Chatter, an avid Murakami fan who first introduced me to Murakami in 2013 when we read The Wind-Up Bird Chronicle as part of a readalong. It was such twisty fun that I couldn't resist asking Ti if I could read along with her when she said she was going to reread Kafka On The Shore. Oh, Murakami - you really do such marvelously strange things to my mind. I doubt there's another author who could get me to read a scene about mutilating and killing cats and have me not throwing the book out the window. Come to think of it, you would have had a hard time convincing me that I would enjoy a book that included talking cats, falling eels, men making love to their mothers. But I did, I really did enjoy it. That's the magic of Haruki Murakami. Woven into all of that craziness is a realistic story about a young man desperate for love and a simple old man who suddenly finds the world he's known turned upside down. Sure there is a village straight out of "Brigadoon," but there are also marvelous friendships and fragile characters. Maybe it turns out that I actually like fantasy. But I think my fondness for Murakami lies in his ability to make me forget I'm reading a literary novel that just happens to have fantasy elements...like spirits that move at will. 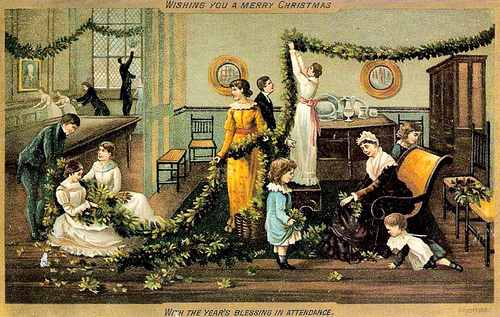 Hope those of you who celebrate have all had a wonderful Christmas! Ours was busy, as always, but we've finished it off today with just the five of us which I always love as a way to end the holiday. 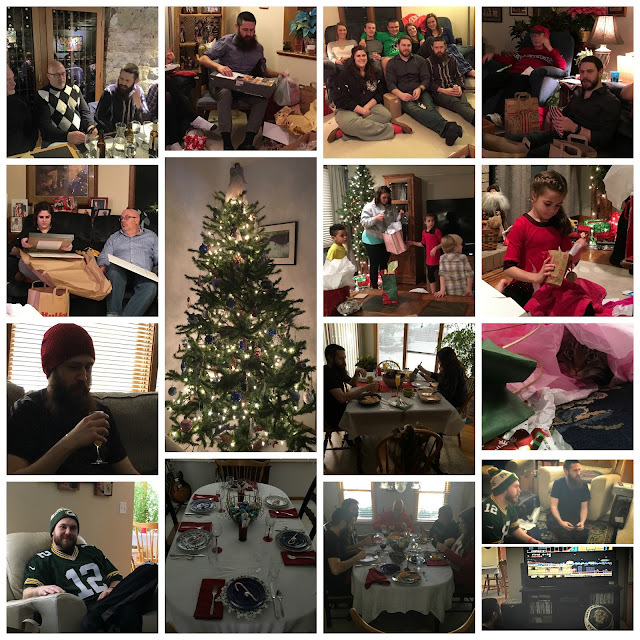 We missed some of the family who couldn't be with us but loved spending time with both sides of our family. Way too much food, perhaps a bit too much alcohol, an abundance of gifts, a wealth of love - it was a good last few days. Listening To: Only Christmas music this week, including Silent Night sung in German by a small girl and her mother during the living Nativity scene at our Christmas Eve service. Watching: A lot of episodes of "Fixer-Upper;" football, including the Huskers bowl game victory; and a last few Christmas shows. Sadly, I never did catch "Love Actually" this year - guess I'll just have to look for it on Netflix! Reading: Faithful Place when I have had time for reading. Making: Ham, chili, enchiladas, cheesy hash brown potatoes, cranberries, cheese balls, cream cheese breakfast pastry, green chili egg casserole, taco soup - all of the calories! Planning: I'm just going to bask in the afterglow of Christmas as I try to put my house back in order this week. Enjoying: A good laugh. Remember this post from the other day? Guess what I got from my boys?! 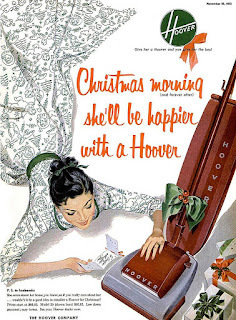 To be fair, I actually did need a new vacuum. And The Big Guy was smart enough to balance it out with a new book. Feeling: Blessed. Again, see above. Looking forward to: New Year's Eve with friends. What I am NOT looking forward to is the enormous snowstorm forecast for tomorrow. We've hardly had winter this year and then we got 8" of snow on Christmas Eve and 6-11+ are forecast for tomorrow. How many more days until spring? What was your favorite memory from the past week? hope you are able to spend time with those you love! Hmmm, honey? No. 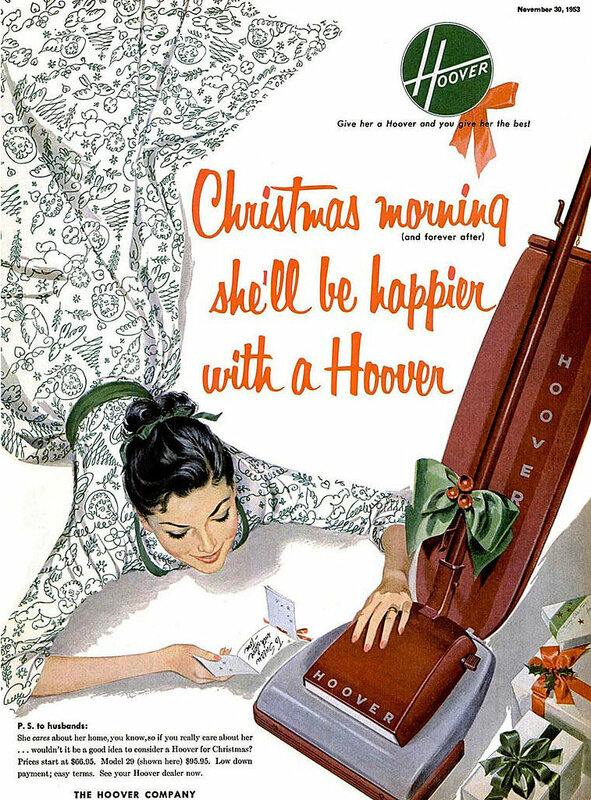 No I will not be happier if I find a Hoover under the tree. And neither will anyone else. We've come a long way, baby! L. Frank Baum’s The Life and Adventures of Santa Claus was first published in 1902, two years after his Wonderful Wizard of Oz. Drawing on the attributes of Santa Claus from Clement Moore’s 1822 poem “A Visit from St. Nicholas” (“The Night Before Christmas”), Baum chronicles Santa’s life from his childhood in an enchanted forest—the same forest that is the source of all magic in the land of Oz—to his destiny of sharing gifts and spreading love to his fellow man. I've talked before about the number of Christmas books we had in our house as our children were growing up. Sadly, this was not one of them. In fact, until the publisher contacted me recently, I'd never even heard of it. What a shame! 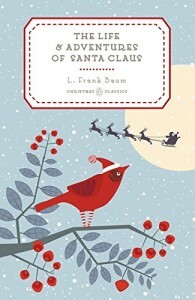 The Life And Adventures of Santa Claus is a delightful account of how all of the things that make Santa Santa came to be, as seen through the eyes of a man who believed in fairy, nymphs, and enchanted forests. From how Claus got his name to how he came to decide to care for all children, from how he came to become a toymaker to how he is able to deliver gifts to all children in only one night, Baum manages to work in all of the magic of the Santa Claus story. I wasn't able to read this lovely book (this edition includes the original drawings as well) with my own children but I'll definitely look forward to reading it to grandchildren. If you still have young children in your home, I highly recommend you pick up a copy and make it a Christmas tradition. Bright, shiny books, new books and scheduled reviews all served to throw me off of my challenge goals once again this year. That and I couldn't really make myself care about reading some of the books I'd put on lists. Soooo...again, my challenge results are mixed. My biggest failure was the one that I was the most interested in at the beginning of the year - the Official 2015 TBR Pile Challenge. Since one of the things I wanted to do this year was read more of my own books, I thought this was the best way to push myself to do that. The problem was, as I've mentioned, that I just never had any interest in reading several of the books I'd put on the list. In fact, three of them recently made their way out of my house unread. They might have been very good books but, for whatever reason, they just never seemed to pique my interest. I did, however, manage to read well more than a dozen books that were on my shelves at the beginning for 2015 so I'm okay about not finishing the books that were on my list. I'm close enough on the Nonfiction Challenge to call that one met at this point, although I'd really like to up my game on nonfiction reading in the coming year. I finished the War Through the Generations Challenge, the Foodies Challenge, the Chunkster Challenge, and the Women Challenge, and will finish the Finish The Series challenge by year's end - a good much better than normal result for me as far as challenges are concerned. I picked the Chunkster Challenge to try to make myself read some of the really big books I've got lying around, you know that ones with 600 or more pages. But as the requirement was only 450 pages, this one wasn't as hard as I thought it might be and didn't push me as much as I had hoped. Dammit, I need to get to Little Dorrit and Pillars of the Earth! As far as the Women's Challenge, it turns out I don't really need to be challenged there. Without really giving it any thought, I'm more than giving women an equal shake in my reading. As for the Foodies Challenge, I turn out to be a little bit "meh" about that one. If a book happens to have food in it, great. But I'm not really interested in going out of my way just to find books that are focused on food. Which may put a crimp in my Fall Feasting reading as well. I vastly reduced my Goodreads goal this year, from 80 books to just 50, trying to make sure I had time to read those aforementioned chunksters. I blew by that goal this fall. Which I was pretty sure going in I would. Makes it not much of a challenge, right? For 2016, I doubt very much that I'll even set a goal on Goodreads. 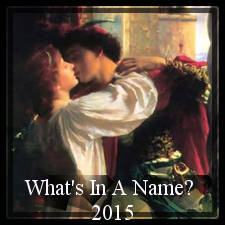 I did not complete the What's In A Name Challenge once again. Seriously, how is it even possible that I didn't read one book all year that had no familial word in the title? The city in the title I knew would be a stretch but nothing with sister, daughter, wife, mother in the title? This one I may just sign up for again just to prove that I can, at least once, succeed at it! My biggest disappointment regarding challenges? Not playing the game better - remembering to official sign up, to post my links when I read the books, to check out how others are doing. Bad blog community member! Did you sign up for challenges this year? How'd you do? I know I say this every year but this year I really mean it - in 2016 it's going to be all about reading what I want to read, when I want to read it. Fewer challenges, fewer books for review, more free-range (as Heather of Capricious Reader calls it) reading. So....as for this winter? I'm making a list of a lot of books I'd like to get to and I'll read as many (or as few) of them as I want to read. Notice that there is almost nothing new on this list? That's my other plan for next year - read what you've got. Between the physical books and the ebooks, I've got a lot of great stuff already on hand. Which is not to say that I won't hit up Netgalley here and there or accept books for review; you know I won't be able to resist! Do you plan ahead on your reading? What's calling to you as winter sets in? Lydia is dead. But they don’t know this yet . . . So begins the story of a Chinese American family living in 1970s small-town Ohio. 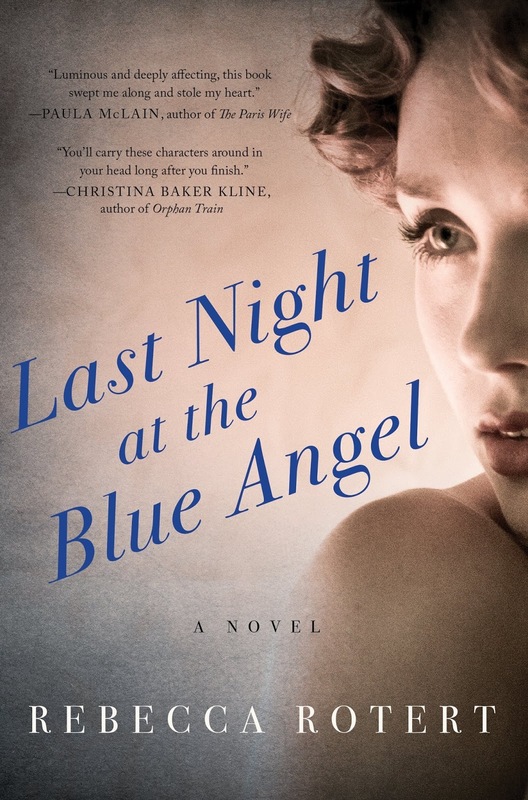 Lydia is the favorite child of Marilyn and James Lee; their middle daughter, a girl who inherited her mother’s bright blue eyes and her father’s jet-black hair. Her parents are determined that Lydia will fulfill the dreams they were unable to pursue—in Marilyn’s case that her daughter become a doctor rather than a homemaker, in James’s case that Lydia be popular at school, a girl with a busy social life and the center of every party. There is a reason Everything I Never Told You ended up on so many "best of" lists in 2014 - it's simply remarkable. It is the heartbreaking story of a family slowing falling apart. When James and Marilyn met, they both thought they were getting the very thing they wanted. It was only the beginning of the communication problems that would plague their family and, eventually, tear them apart. A mother who didn't have the strength to push through to make her own dreams come true, a daughter who would do anything to keep her mother at home, a brother who became his sister's ally to his own detriment, two parents who demonstrably favor one child over their others. Moving back and forth in time, from the point of view of one family member to another, Ng deftly explores race, assimilation, gender, parental expectations, and sibling relationships all under the glare of one question: how much we really know about those we think we know best? I loved this book. Even as it got harder and harder to read it became harder and harder to put down. 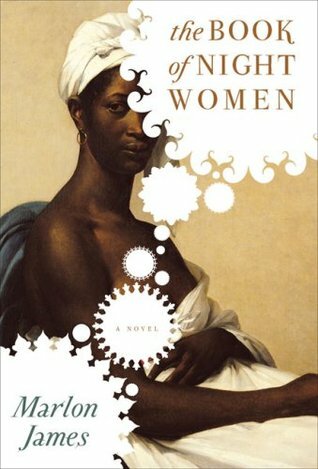 I was glad to have read it with my book club because I really needed to talk about it when I was done reading it. I highly recommend it for book clubs. And for you. Oh my, where did this month go? And why does it always seem to come to the week of Christmas so much earlier than any other 25th of the month? It's been a busy week with gift shopping, book club, some holiday festivities with friends, gift making, and cookie baking. Oh yeah, and readying the house for company later today. I'm sure it's been largely the same for most of you! Listening To: Podcasts: Happier, Freakonomics, NPR Books, All The Books, and the first episode of the new season of Serial. And Christmas music - lots of Christmas music. Watching: Volleyball! 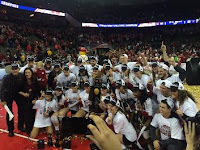 Our Lady Huskers won the National Championship last night in a sweep of perennial rival Texas. And yes, yes I did have to clean bathrooms to deal with the excitement of the match, just like football. Also, I have now watched four versions of Dickens' "A Christmas Carol." The George C. Scott remains my favorite. Reading: Not a lot. I hope to finish Extra Virgin in the next day or so and then it's on L. Frank Baum's fantasy take on Christmas, The Life and Adventures of Santa Claus. Making: Foodwise: sugar cookies, chili, enchiladas, goulash. This week will be a lot more cooking with a different kind of chili, taco soup, ham, breakfast casserole, and pastries all on the menu. Craft wise: I've made a forest, helped Miss H with some painted signs, and created a new wreath for my front door. Planning: On using the next couple of days to lock down everything that still needs to be done for the holidays so I can have the rest of the week just to enjoy some time off work, being with family, and watching my kids open presents. I still love to do that! Grateful for: The love and respect my kids have for their grandparents (and I include Mini-me's girlfriend who seems to adore my parents). Mini-me and his girl made dinner for my parents last night then took them to The Nutcracker, my mom's first time seeing a ballet. Enjoying: Christmas with Mini-me's girl today before she leaves for California to be with her other family. They did such a great job picking out gifts for everyone - I got a beautiful copy of Hans Christian Anderson's fairy tales. Feeling: Tired but content and ready. Except for the wrapping. I hate the wrapping. Stephen Kumalo, a Zulu priest, take the train to Johannesburg in search of his son, Absalom [and his sister, Gertrude] of whom he has heard nothing for many months. In his heart is a growing fear: fear of the unknown; fear of the great city that kills the souls of innocent children; fear of his aloneness in a world to which he no longer belongs; fear of never finding his son. But unfaltering courage and simple faith lead him through a country now alien to him, past people to whom he is invisible, in search of a son and in search of answers to the questions that haunt him: what is justice? what is freedom? where is hope? 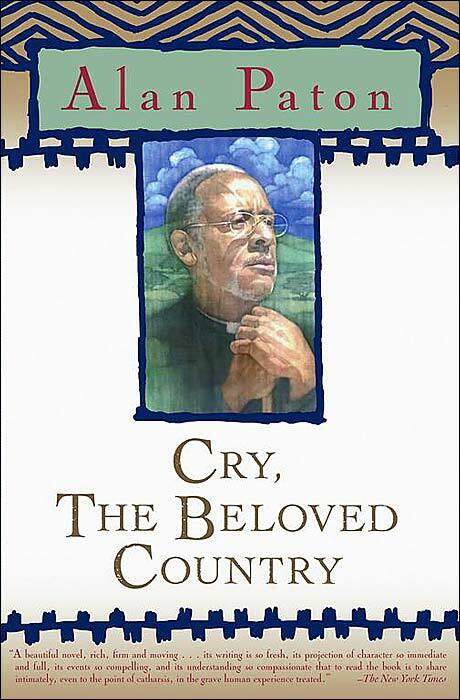 How is it that a book so marvelous as Cry, The Beloved Country garners so little attention? No great love story? Untrue. Paton is clearly in love with South Africa. No beautiful writing? Untrue. Paton's writing is poetic and vivid. Perhaps it is too quiet. Perhaps it is the religion. Perhaps it is the side journey's Paton takes, pieces that speak to the state of the country and mankind as much as to the story line. But they add so much to the bigger story. As a parent, as a person who is deeply attached to her family, Stephen Kumalo's discovery of the woman his sister has become and the things his son has done was heartbreaking. Along the way, though, he will also discover the good in man, in a fellow priest who drops everything to help Kumalo and in a man who, despite incredible tragedy in his own life finds it in his heart to help those in need. I'm not sure that I have ever read a "classic" that spoke more to today's world than Cry, The Beloved Country, specifically race relations and the gap between the rich and the poor. Paton, a white man, doesn't entirely lay the blame for what happened to South Africa on the Europeans who settled there and makes a point to give both sides to the issues. But he pulls no punches, either. It is a book I feel that everyone should read. It will make you think, it will make you question your own thoughts and actions. Hopefully, it will make you understand that we can only heal when we work together. I leave you with this - a quote I think applies to children in so many parts of the world, including many places right here in the United States. I've been a bit of a grouch lately, come holiday time. I hate that because there is so much that I love about the holidays. The beauty of the lights at a time of year when the landscape is otherwise so bleak. The music, on the radio, at home, and on the stage. 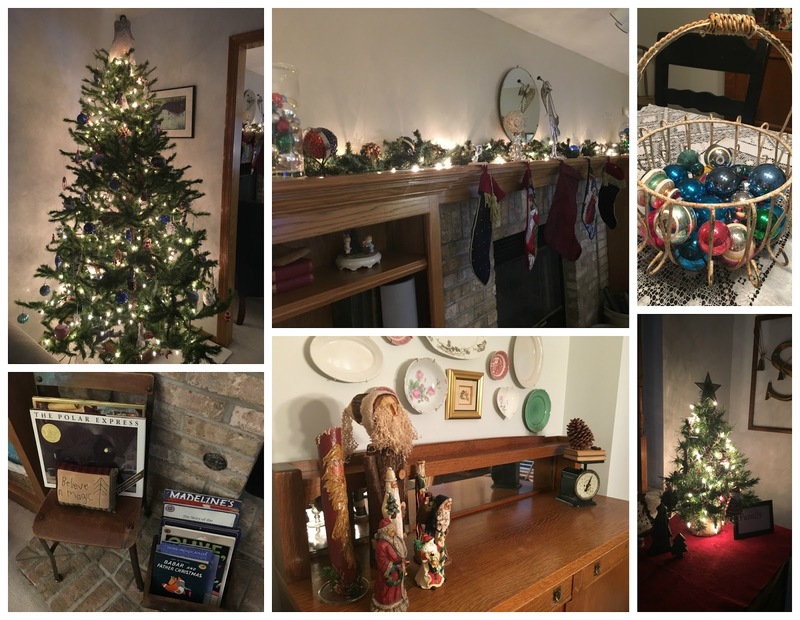 The warmth of the lights and the greenery and the beautiful ornaments in my own home. The movies. The peace I find in the Christmas story. It does me good to stop and think about my favorite holiday festivities. production. He used to bring his score with us. We dressed up. When I became a parent, I understood that it was a tradition that may have started because he wanted to go but, with three young children, they couldn't afford to both go. By taking one of us, he had a companion and my mom had one less person around the house to watch over. Still, to this day I treasure that time we had and that piece of music. Nothing says Christmas more to me when it comes to movies than any of the versions of A Christmas Carol. In Omaha, the play is presented annually and for many years the character of Scrooge was played by the same man. We have been once but I love knowing that it is there for me if I ever want to see it again. We may not have mountains or oceans or even a river we make very good use of in Omaha, but we do a bang up job of decorating our city with lights for Christmas. 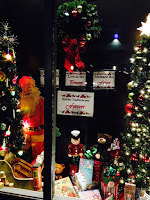 We try to get out every year to visit the lights in the various parts of town. 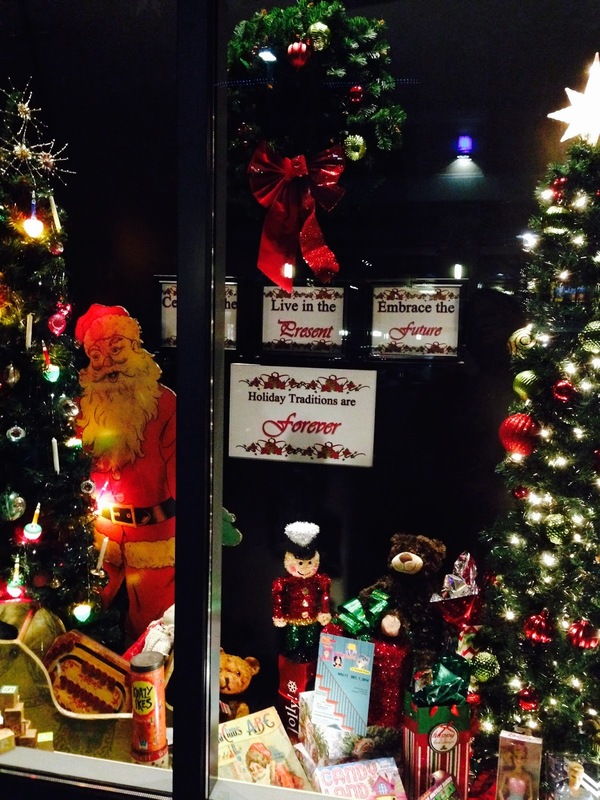 Last weekend we visited a part of town that has both a light display in the park and a store window competition for Christmas displays. Next weekend we will venture downtown to see the lights there. There we will also find Dickensian actors roving the streets, carolers, and instrumental groups. It is the kind of thing guaranteed to put a person in the mood for the holidays. When the kids were growing up, it was not uncommon for each of them to get a new Christmas book every year. Eventually we had to read two or three every night just to get through all of them before Christmas. I loved that but they have long since outgrown it. Still, I've kept quite a lot of the books and put them out every year. One day I hope to have grandchildren to read them to but in the meantime, I always make sure to read a couple of them to remind myself to find the joy in the season. 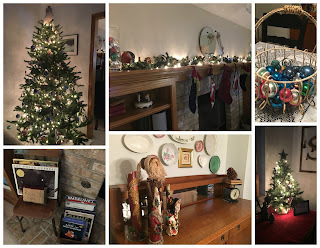 Over the years, the way we celebrate has changed as people of moved, children have been born, and, sadly, both of The Big Guy's parents have passed. Along the way, though, some things have remained the same. At my parents', soups will be served for Christmas Eve supper with homemade ice cream for dessert. Their neighbor will gift us with Germna stollen bread to enjoy for breakfast and, if we're lucky, we'll find a reasonably priced Danish kringle to enjoy as well. For me, the favorite foods of the season are the sweets. Not just because I love them (I do!). But because, since the kids were very young, making them has been something we have done together. I don't make as many different kinds of goodies as I used to but the things that remained are the things we do as a family - dip pretzels, make puppy chow, frost cookies. We get creative, we laugh, we make a mess. Mostly, we make memories. My parents live a block and a half away from the church my siblings and I grew up attending, the church where my sister and I both got married. It's not a fancy place, but it is a kind of home. And the best place of me to sit, with my side of the family, on Christmas Eve and think about why we are all together. In that church, they have the tradition of having the congregation light candles while singing "Silent Night." 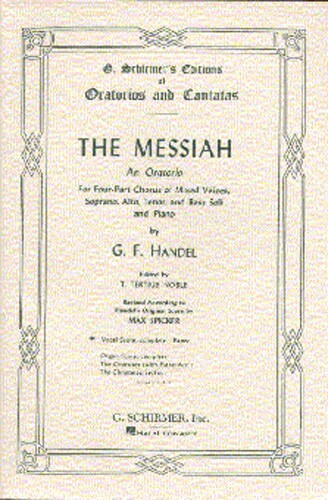 If we're lucky, the gentleman who sings it in the original German will be there. Then that church is beautiful and the wonder of the Lord truly does shine upon us. I like to think that I'm fairly open to reading outside my comfort zone. 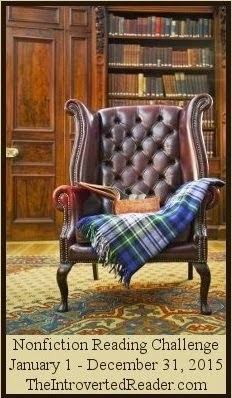 I read nonfiction, literary fiction, women's fiction, mystery/thriller, books. But, let's be honest, it generally takes a little push from someone else to really get me to travel well out of my zone. If it weren't for Ti (Book Chatter), I never would have read The Wind-up Bird Chronicles. If not for the rave review by Andi (Estella's Revenge), I would never have found The Sparrow. Heck, if it had not been for the King-Along gang, I would not have found my way back to Stephen King. This year both Ti and the King-Along gang again pushed me to step outside of my usual fare. 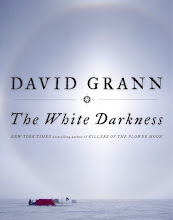 This year I read King's Misery with the King-Along group. To be honest, it was not that much of a stretch out of my usual fare, lacking any fantastical elements. On the other hand, much, much more gruesome that the kind of thing I usually pick up. 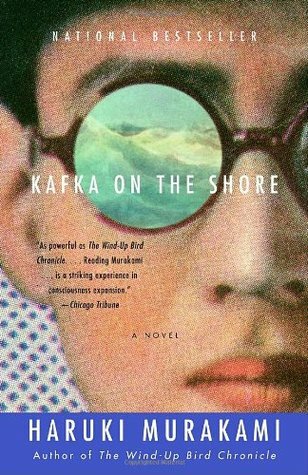 Ti pushed me further when I joined her in reading Haruki Murakami's Kafka On The Shore. Talking cats, other dimensions, Johnnie Walker and Colonel Sanders - definitely out of my wheel house. Murakami baffles me and widens my world. He brings the fantastical squarely into the real world. I've finished both of the books I've read by him wondering what just happened but no really caring if I missed the finer points. The only question at the end of this read was when should I start my next Murakami? Perhaps the biggest steps I took out of my comfort zone this year was to pick up more books about the African-American experience. In February my book club read The Autobiography of Malcolm X. Although it may have been as much a PR effort as an autobiography, it was still an eyeopener for a group of white, suburban women. Balm, by Dolen Perkins-Valdez, Calling Me Home by Julie Kibler, The Girl Who Fell From The Sky by Heidi Durrow, Finn by Jon Clinch, and, especially, The Book of Night Women by Marlon James all made me realize that I have a lot to learn about the culture of my own country. Events of the year in the real world only drove home how important it is for all of us to try to understand each other. To that end, I'll definitely be looking to read more books by African-Americans and about African-Americans in the coming year. What did you read that was outside of your comfort zone this year? It's beginning to feel a lot like Christmas! Not so much weather-wise (although that will change this week); it's been raining much of the weekend instead of snowing. Still, there's just a festive air that's beginning to hang over the city - beautiful light displays, fun events, and the people in the stores are still largely pleasant. What d'ya think? Another week of that before people start to get frantic? Listening To: Finally Christmas music! Nothing like a little Frankie to get me in the mood. Watching: Every Christmas show I can find - Rudolph, The Grinch, Scrooge (with Albert Finney), and Disney's A Christmas Carol. And volleyball - our Lady Huskers are going to the Final Four! Reading: Finished Kafka On The Shore and will finish Everything I Never Told You tomorrow for bookclub this week. After that the plan is to finish Extra Virgin and Faithful Place and to read something Christmasy before the holidays. Making: Today was day one of goodie making with the family. 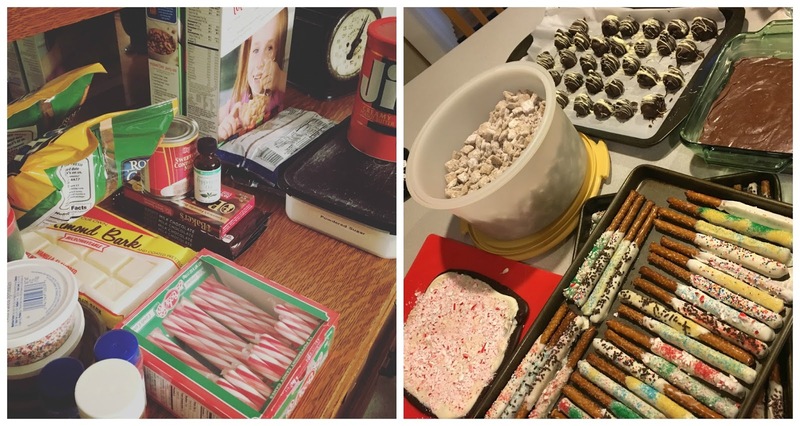 We knocked out most of it, even added a couple of new things: chocolate peppermint almond bark, Bavarian mints, puppy chow, dipped pretzels, and brownie truffles. We got to introduce Mini-me's girl to our traditions - hopefully we didn't scare her off! Planning: Time to start wrapping presents this week, finish making gifts, and prepare for a visit from The Big Guy's brother and his wife on their way through for the holidays. It's always nice to have them all to ourselves for a bit. Grateful for: Sunrises like this one - we've had a lot of great ones lately that [kind of] make getting up early worthwhile. Enjoying: Time with old friends. You know, the kind who've known you so long that they wouldn't judge if you showed for dinner in your pajamas. Feeling: Like I just might get it all done without racing around like a chicken with my head cut off. Just cookies and caramel corn to get made yet, the house is finally all decorated, the cards have been mailed and I'm well on my way to being done with shopping. It's a good feeling. What you are looking forward to this week? When I started thinking about this prompt, I wondered exactly how many books I'd read by new-to-me authors this year that I'd enjoyed. I knew I had read a lot of second books by authors that I enjoyed and a fair amount of new-to-me authors that underwhelmed me. As it turns out, though, there were quite a few that did impress. Let's just say that you'll likely be seeing some of these on another list later this month. In no particular order, here are seven authors that impressed me enough to make other books they write automatic reads. What new-to-you authors impressed you this year? Jane Austen’s earliest writing dates from when she was just eleven-years-old, and already shows the hallmarks of her mature work. But it is also a product of the times in which she grew up—dark, grotesque, often surprisingly bawdy, and a far cry from the polished, sparkling novels of manners for which she became famous. Drunken heroines, babies who bite off their mothers’ fingers, and a letter-writer who has murdered her whole family all feature in these highly spirited pieces. This edition includes all of Austen’s juvenilia, including her “History of England” and the novella Lady Susan, in which the anti-heroine schemes and cheats her way through high society. 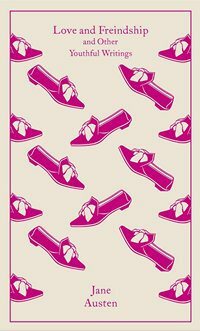 When I finished Northanger Abbey, the last of Jane Austen's novels for me to read, it was hard to imagine that I would never be able to read another novel written with her particular flair and sass. What's a girl to do when her favorite writer has been dead for hundreds of years? The answer is: wait for someone to collect all of her early writings so you can enjoy watching Austen progress from the very simplest of stories and as she developed her style and sharpened her wit. From early on, Austen has a capacity for parody and wealthy were already one of her targets. As were foolish lovers. And fools of any ilk - and there tended to be more fools than not in her early pieces. Perhaps an indication that her early writings were intended solely to amuse her family. Austen also developed an early mastery for the art of miscommunication and misunderstanding, which particularly shown in an epistolary piece. This collection ranges from very early pieces to her unfinished adult work, Lady Susan, and include some unfinished work and bits of correspondence. The book also contains an early poem by Austen, textual notes, a chronology, contextual notes, and an introduction by Christine Alexander. It's a treasure trove for Austenites! It was the perfect nightstand book (and I'm not sure it's something you could read straight through) and a keeper. Oh holy night, how did it get to be Tuesday already?! Listening To: I'll finish Cry, The Beloved Country this week and be sad when it's done. For a book that was written almost 70 years ago, it's remarkably pertinent to today and so beautifully written. I think I may spend the rest of the year catching up on podcasts instead of starting another book. So many to catch up on. Watching: All caught up on "Fargo." Anyone else watching it? Any guess as to how many people might still be alive by the end of the season? Trying to get caught up with "Manhattan" as well. Do you watch "The Voice?" I feel like we just watched the winning performance last night. Wow! Jordan Smith done Freddie Mercury proud! Reading: Ugh. I just cannot get through the books I've been reading. So, still the same. Although I did add Tana French's Faithful Place on my nightstand. Making: Waffles, fried chicken - not much. We ate out a ridiculous amount last week! Planning: On getting Christmas cards sent this week and helping Miss H get her handmade gifts finished. This will involve making our own stencils. Pray for me. Grateful for: Facebook. As much as it can drive me crazy, it came in quite handy this week when I needed to get some birth dates, pics of family that are current, and maiden names for a project. Thanks for putting your whole lives out there, family! Enjoying: Lots of time with dear friends. I even got to hold a grandbaby. I really need one of those! Feeling: A bit overwhelmed, to be honest. As usual this time of year. Deep breathe and remind myself that what needs to get done will get done. 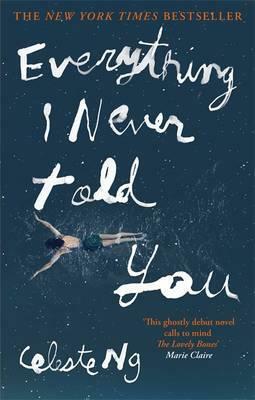 Looking forward to: Book club next week to discuss Everything I Never Told You. And having the week of Christmas off. I planned to use it to finish things up but if I work this right, things will be done and I can use that week to do some major organizing. You know you're kind of an oddball when that's something of a gift to yourself! Oops! Forgot to tell you yesterday - A Month of Faves is the brainchild of Tanya Patrice of Girlxoxo.com, and also hosted by Traveling with T, and Andi of Estella's Revenge. Thanks ladies for hosting such a fun event! * Maybelline's Lash Sensational mascara - inexpensive, nonclumping, lasts all day, makes my lashes crazy long. What more could a girl want? I don't wear a lot of makeup but I do love my mascara and I've tried a lot over the years. * Nivea Extended Moisturizer Hand Creme - I go through tubes of this every winter but it's the best thing I've ever found to keep my hands from cracking during the winter. And it's unscented. This year I also added to my Nivea love their original creme. Perfect for a person who may be a little germ phobia and washes hands a lot - even in the summer I need a good cream for my hands. * Block 16 in downtown Omaha. Alton Brown called their Croque Garcon Burger the best burger he's ever had. It is so messy and delicious! You have to come to Omaha just for this burger! * Watsatch Apricot Hefeweizen. It's a winner just for that beautiful label alone, right? * Hands down it was the Avett Brothers which we saw outside this summer with friends. 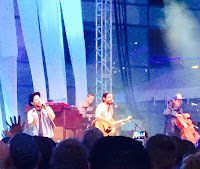 Love their music and they do a great job relating to the audience. * Gotta be Lake of the Ozarks because we went with my entire family to celebrate my dad's birthday. The house we rented was great - the view from the deck was almost as nice as being out on the water. It was so relaxing and fun to be with everyone when we weren't trying to fit in all the holiday activities. * My new iPhone. Because it's gold. And does all of the things. * Being an empty nester. For four and a half whole months. So, my year in reading has been...not what I'd hoped for. If you're not a blogger, I'm sure that sounds odd. I certainly never went into a new year with an expectation as to what I would read. To be honest, I kind of miss that. If I only read 20 books in a year, no problem. If I wanted to spend a month reading a 900 page book, no big deal. Or only read John Grisham for three months. Or go an entire year without reading a single classic (let's be honest, that NEVER happened - but it could have). There was a lot to be said for that. I never felt like I should read a book or, worse yet, that I had to read one. Even though I was in bookstores regularly and could see there were thousands of books I could choose from, I had no feedback on most of them. Now, I literally could add dozens of books a week to the list of books I want to read. Now the number of books I want to read before I die is overwhelming. So, like anything that seems overwhelming to me, I have to make a plan to handle it. And the plan for 2015? It was based on challenges. I signed up for seven, largely as an incentive to go to my own bookshelves to find books that would qualify. I've finished the Women Challenge, the Foodies Read Challenge, and War Through The Generations. 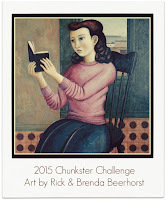 I'm nearly finished with the Nonfiction Reading Challenge, the Chunkster Challenge, and the Finishing The Series challenge. Two will not get finished. More on that later this month. I set my Goodreads goal this year at just 50 books to allow for time to read those chunksters. So far, I'm at 67 and will finish three more in the next week or so. Pretty pleased with that number. If no other books were ever published, it would only take me about 10 years to finish reading from my wish list at this rate! Nine of the books I've read this year I rated 5 stars, 23 more were rated 4 stars. Five books received only 2 stars. I read the most in September (8), the least in February (4), more paperback than anything else but more ebooks than previous years. As always, literary fiction tops the list of the types of books I read. No graphic novels this year despite my intention to try more of them. I wish I would have read more nonfiction, as well. I Know This Much Is True was the longest book I read this year, Joy Street was the shortest. I still sucked at giving up on books - only gave up on 2 all year and there were certainly some I had to push my way through. I accepted fewer review books, especially scheduled reviews. Still, it felt like too many. More than half of the audiobooks I "read," I also owned in print, making that a great way to free up room on my bookshelves. Space I'm trying really hard to leave empty. Unless, of course, someone wants to give me books for Christmas. I'm okay with that!